Startups are hiring, but landing a job can be tricky. This post is written with non-technical liberal arts graduates in mind. While startups are one of the few sectors of our economy that are hiring, landing a startup job requires some research. Here are some tips I’ve accumulated from speaking to tech CEOs. Startups don’t have middle management or typical hierarchies. There are no “manager” or “analyst” jobs. They don’t have accounting, legal, or human resources departments. These are usually outsourced. The only people in startups who work on strategy are board members and the CEO. Everyone who joins has to add value right away. There is no training and they don’t have time for you to learn on the job. People get you jobs, not your resume. While you will need an up-to-date LinkedIn account, resume, and a sane, non-racist Twitter / Facebook presence, none of these will actually land you a job. Networking through your friends and acquaintances will land you interviews, so you should only submit resumes online as a perfunctory exercise once you’ve ensured that you’ve got a person inside the company vouching for you. Go to Meetup events (I host this one and this one – both are excellent for networking) and bring business cards even if you don’t have a job. Put the job title you want on the card so people know what you’re interested in doing. Follow up with people you meet and ask for leads and introductions. Take people out for coffee. Be persistent. Be specific about which job you want. You need to know this before you can effectively network. Technical jobs require hard skills and/or advanced degrees. These are programming, design, statistical analysis (for big data companies). The non-technical jobs are sales, account management, and social media outreach. Social media outreach is the worst; they get paid pennies and their job has become commodified. If you don’t have a PhD but are confident about your ability to work with data you can still get a technical job, but you have to be very pro-active about getting the data yourself. You’ll have to be willing to learn to code so you can write or implement software that gets you good data. Most startups don’t have data laid out in any useful way, so you’ll have to convince the founders that you can do it all on your own. The best time to apply for a startup job is right after the company has raised money from venture capitalists or angel investors. Newly-funded CEOs are desperate to hire and have the money to pay well. 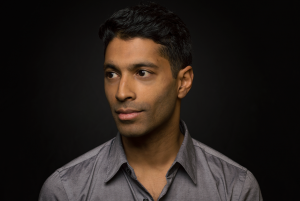 Discover funded companies by following guys like Reza Chowdhury and researching on CrunchBase. Here are two potential paths for landing a non-technical job at a startup. Find an accomplished CEO who is growing a team and be his or her assistant. This can transform quickly in to a very senior role in a company. Most startups are meritocracies, so if you’re good, you can go from assistant to Vice President very quickly. You’ll be doing important but not glamorous work like setting up health insurance and figuring out bookkeeping while the CEO does everything else. Join a web or mobile-development consulting company like Crowd Interactive. These guys build sites and apps for companies or supplement tech teams, and they always need smart, hard working people to stand between their coders and their clients as account managers. These are high-paying jobs that will introduce you to many companies in a short amount of time. Do you have any other tips for landing a startup job? Share in the comments.